The naked-bike class has become one of the most popular new segments of the motorcycle industry. The class rules are simple enough: Start with minimal amounts of bodywork so mechanical components such as the engine and frame on display, and make sure there’s a torquey engine and a rigid, capable chassis underneath. Ducati spawned the naked sportbike genre with the Monster when they introduced the stripped down Monster at the 1992 Cologne Motor Show and it entered production the following year. The machine known as the M900 has gone on to become the most successful line of bike Ducati has ever offered, and it helped save the then-troubled company from extinction. Il Monstro remains the standard by which all other naked bikes are measured. 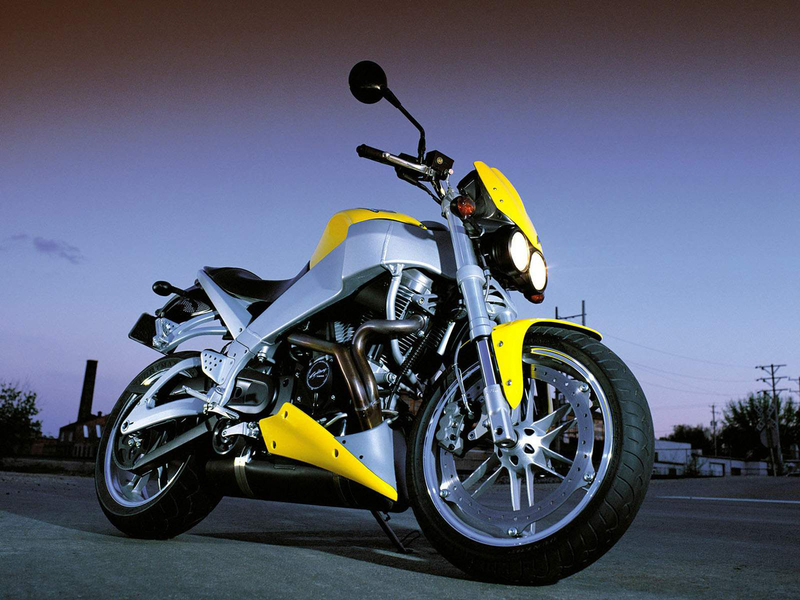 The naked bike movement also helped popularize saved another manufacturer: Buell. Led by innovator Erick Buell, his early offerings were slow to catch on. But in 1996, the hooligan S1 Lightning debuted, and the Harley-powered bikes gained a much wider audience. 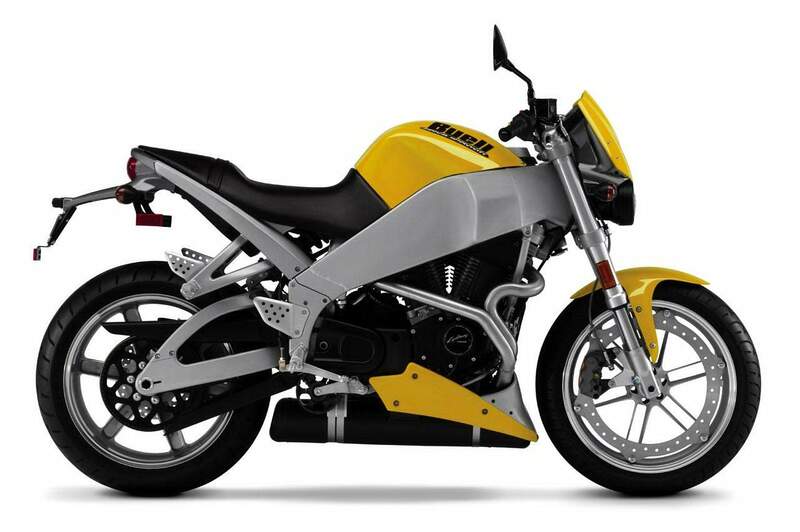 Buell’s Lightning took a huge leap forward with the 2002 introduction of the XB9S Lightning. Buell took his “Trilogy of Technology” to a whole new level, keeping the design concepts of mass centralization, frame rigidity and lower unsprung weight at the forefront of its design. Most manufacturers follow a similar plan of attack when designing a new bike, but the XB9S is like nothing ever seen before. Gone is the steel-tube frame of its predecessor, replaced instead by a a beefy aluminum technological marvel. What looks to be its fuel tank is actually just an airbox cover; the massive aluminum frame spars actually are the fuel cell, aiding Buell’s mass centralization intent. In a similar vein, the aluminum swingarm also doubles as the oil reservoir for the big air-oil cooled H-D V-Twin. Still not impressed? Take a look at the front wheel. Using the theory of Zero Torsion Load (ZTL), the XB9S is the first production bike to feature a huge brake rotor attached to the rim rather than the hub, with a single six-piston caliper providing the stopping power. This creative approach to braking allows for the construction of the wheel to be very light, which of course reduces unsprung weight. The wiring on the Lightning might be the most tidy of any production bike. Every piece of vital electronics is concealed neatly beneath the seat. Unlike the Monster, there are very few pieces that look out of place. But that is where the really wonderful innovations end on the Lightning. The heart of the XB9S is a tuned-for-torque 998cc air-cooled, pushrod V-Twin, heavily revised from The Motor Company’s Sportster ramge. The marriage of H-D and Buell is laid out in the open for all the world to see.